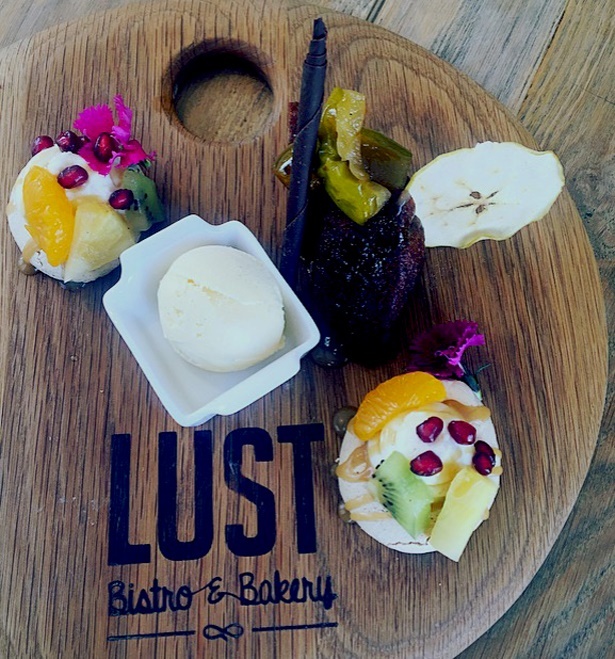 Lust Bistro and Bakery is located on the picturesque Vrede en Lust wine estate outside Franschhoek. 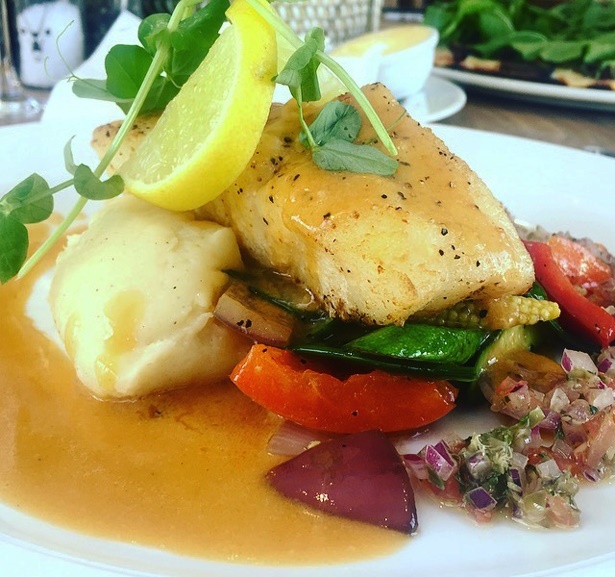 After months of wanting to experience Lust Bistro and Bakery out at Vrede en Lust Wine Estate, I finally received the opportunity to have lunch there last weekend. What a gorgeous spot! The restaurant is situated right next to the road making it impossible to miss. You’ll find it at the intersection of the Klapmuts Rd and the R45 outside Franschhoek; a great location and the perfect stop-off for a brunch or lunch if you’re doing a day of wine tasting – and it’s a stone’s throw from other big name farms like Babylonstoren, Glen Carlou, Rupert & Rothschild and Plaisir de Merle. The space itself is light and open with simple, earthy décor and a big beautiful coffee machine that greets you at the entrance. Wafts of coffee and baking bread have to be two of life’s most pleasurable, comforting aromas and we were like bees to a honey pot. Chef Jean Pierre Smith is chef patron of Lust and a quick disclaimer: he used to be my pastry lecturer! So I knew straight off the bat that the breads and pastries were going to be good. And they were. There is a giant wood-fired oven in the back of the restaurant that turns out stunning artisan bread and we were offered a selection to try at the table. The menu is very eclectic serving a variety of breakfasts, pizzas, sandwiches, salads, cakes and desserts as well as a beautiful meat and fish dishes. The menu also comes with suggested wine pairings which is a nice added touch and shows they have put some effort into the matching of food with the wine. 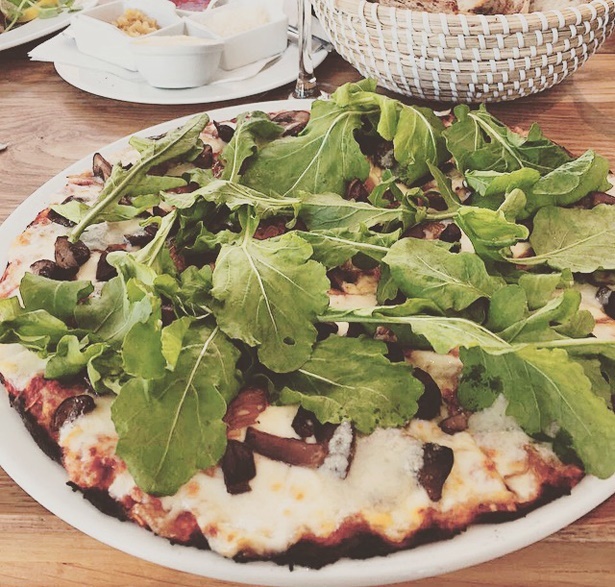 Although – not a new concept, building your own pizza is great because you get just what you want! What’s more – at Lust you can even choose what base you want. I went with the sourdough and topped it with Gorgonzola, caramelized onions and rocket. A winning combo! The bases are (as expected) thin and crispy with the slight charry-ness that you get from a real wood-fired oven. Although they are thin, you can still pick it up with your hands – which for me is always a test of a great pizza! We couldn’t leave without sampling some of Jean Pierre’s sweet treats and I’m so glad we did. Of course I was as full as a tick but I loved that they offer a “sweet platter” of desserts – small portions of all the regular desserts on offer (Belgian chocolate brownie, Dememera sugar pavlova and the most amazing spiced date pudding). Whatever you do If you go to Lust – it’s worth saving space for dessert! 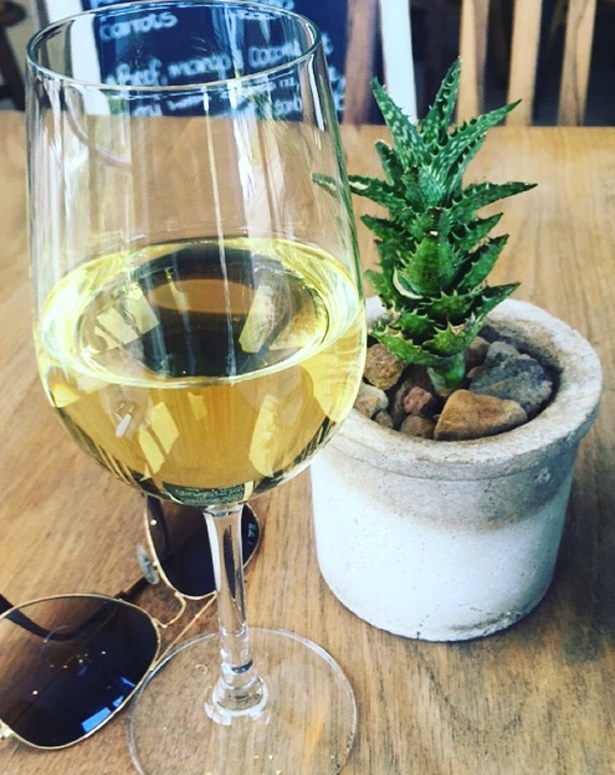 Being on the Vrede en Lust wine farm, it’s not surprising that the restaurant only serves Vrede en Lust wines and all are available by the glass. An exception being the few MCCs on the list that are from Graham Beck and neighbouring wine estate, L’Omarins. I was slightly disappointed to see no MCC by the glass because it was just what I felt like when I arrived (and my lunch partner isn’t much of a bubbly fan). Having said that, the Vrede en Lust Kogelberg Chenin Blanc was a superb match for the Kingklip (and just R57 a glass). Another thing that’s good to know is that guests are able to order wines from the Vrede en Lust Artisan Range which are limited edition wines made for the Vrede en Lust Wine Club members. Apart from wine, there are a few local craft beers to choose from and outstanding coffee from Terbodore coffee which is roasted locally in Franschhoek. One thing I didn’t mention is that Lust offers a Sunday buffet on the first Sunday of every month from 12pm - 3pm, with a variety of dishes (including sweets) from the kitchen and wood-fired oven. The best part? You can have as much as you want and go back for seconds…or thirds, all for the ridiculously reasonably price of R185! Children under 14 pay R90. If that isn’t reason alone to visit Lust Bistro and Bakery, I don’t know what is! * Food24 were guests of Lust Bistro and Bakery.